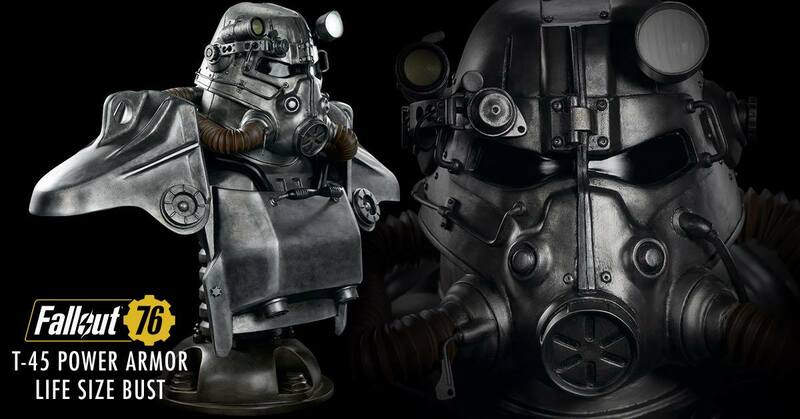 Pre-orders have been opened for a new Fallout: T-45 Power Armor Life Size Bust, which is being produced by Gaming Heads. This outstanding looking collectibles stands nearly 30″ tall and weighs in at over 52 lbs! The bust features a themes base and is cast in polystone resin and each bust will be hand painted. The headlamp features a working LED light up feature. The*T-45 Power Armor Life Size Bust is scheduled to ship out in the third quarter of 2019. It will be limited to just 500 pieces and is priced at $1,299.99. You an see photos, details and &#187; Continue Reading. The post Fallout: T-45 Power Armor Life Size Bust by Gaming Heads appeared first on The Toyark - News.